In 1874, William Saunders, a horticulturist at the US Department of Agriculture, received a letter from a friend named Eliza Tibbets in Riverside, California. She said she wanted to plant orange trees on her property and see if they’d flower. William decided to take a chance on Southern California and sent Eliza three Brazilian navel orange trees. This rare type of tree had failed to prosper in Florida, but they soon blossomed on the West Coast. One of Eliza’s original trees still stands in a triangular park at the intersection of Magnolia and Arlington Avenue. You can never be sure if a plant is going to take root in foreign soil, but sometimes you strike the right combination of elements and something wonderful happens. Eliza’s plucky spirit and green thumb helped bring oranges to Riverside, which is now known as the Mother of the California Citrus Industry. If you’re looking to grow a fruitful relationship in Riverside, you’ve come to the right place. We’ve come up with nine ways to meet singles and make a connection based on shared values and interests. Let’s get to it! First up, we have online dating. This method of meeting people has grown like a weed in recent years, and it has laid the groundwork for many blossoming friendships, relationships, and marriages. Most dating sites allow you to sign up and browse the database for free, so you can search for local dates without making any commitment. Dating sites attract active daters who want to meet people, so it’s a natural setting to start a conversation that leads to romance. Since it launched in 1995, Match has overshadowed its competition and garnered a reputation as a trustworthy dating resource. Our dating experts rank it as the top dating site because of its time-tested match algorithm and user-friendly communication features. EliteSingles is the perfect place for Riverside’s professional singles to find a date. This high-end dating site caters to relationship-minded men and women over the age of 30. You can create a profile in less than five minutes and up the quality of your dating pool. OurTime is one of the most popular and effective senior dating sites around. It supports a growing network of singles over 50 with easy-to-understand features and responsive customer service. Men and women of all orientations can join OurTime to explore mature dating options in Riverside. Only 7.4% of Riverside residents are African-American, and that makes dating in the black community a little tricky. It can be difficult to find black or biracial singles in this predominantly white city. But BlackPeopleMeet can simplify that search. This niche dating site boasts having the largest online community of black singles, so you just know it’ll have something good in store for you. Look, committed relationships aren’t for everyone. Maybe you aren’t on the hunt for a long-term partner; maybe you’d just like a for-one-night partner. In that case, we recommend giving Adult Friend Finder a whirl. This hookup site encourages its members to get in the fast lane and let go of their inhibitions. You don’t have to waste time with chitchat on AFF. Dating apps give singles the flexibility to access far-reaching online dating networks from their phones. Many modern apps rely on swiping to create mutual matches and prompt conversations, but some old-school dating companies have launched companion apps that retain the tried-and-true search features of the original dating site. The following apps have translated the services and features of a popular dating website into a mobile-friendly interface. We recommend signing up to stretch your dating legs. 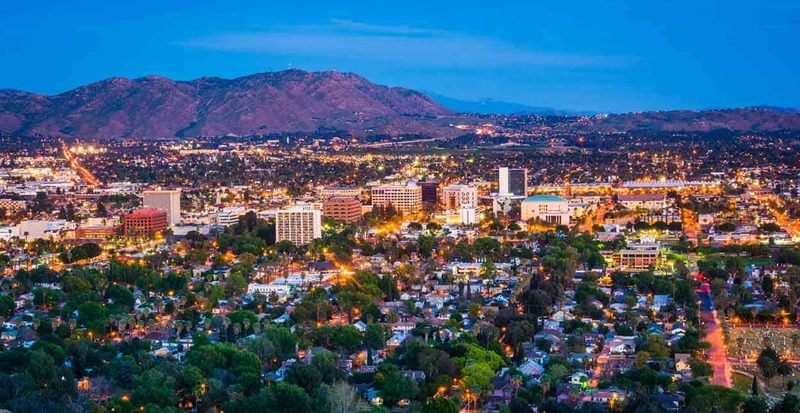 Riverside is home to several universities, colleges, and vocational schools, and its bars can get pretty crowded with youngsters once classes let out. The bar scene offers a terrific opportunity to active daters because you can decide when, where, and how to approach someone you like. The ball’s in your court, basically, and it’s up to you to decide if anyone at the bar tickles your fancy. You can go to a Riverside bar to have a face-to-face conversation over a few drinks and establish a connection with a fun-loving locals. 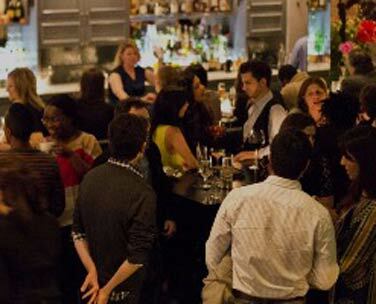 ProAbition Whiskey Lounge & Kitchen is an undeniably popular place for singles to laugh, dance, and, of course, drink. 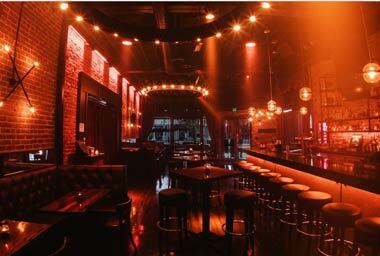 This spacious bar sets itself apart with its extensive drink selection and live musical performances. Every Friday and Saturday night, ProAbition hires world-class DJs, including DJ Sour Milk and DJ Cobra, to entertain crowds of singles. This place isn't just about drinks and dancing — it's also an award-winning restaurant with juicy real beef burgers, and other farm-fresh cuisine. 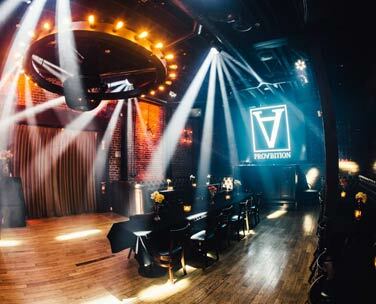 If you're looking for a memorable evening, you should grab a table, a seat at the bar, or a spot on the dance floor at ProAbition. W. Wolfskill's unbelievably tasty specialty cocktails earn it the second spot on our list of the best bars in Riverside. From the Oat Fashioned to the Demi God, the bar's fun cocktails get people talking and asking, "What's in that drink?" Whether you're in the mood for an upscale bottle of wine or a limequat-infused mixed drink, you can order something original and delightful here. 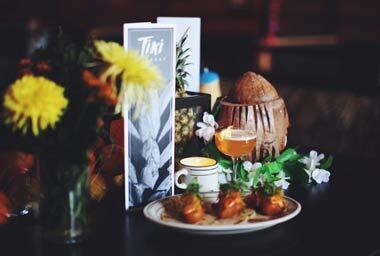 Plus, on Tiki Tuesdays, W. Wolfskill serves seafood dishes that'll have you feeling like you've found a tropical paradise in the middle of Main Street. 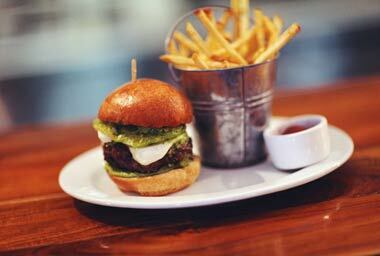 Riverside's new gastropub has quickly become a downtown staple. The Salted Pig is known to tourists and locals alike as the Inland Empire's original gastropub. One glance at its indulgent American cuisine and inventive cocktails is enough to make your mouth water. In the mornings, you can smell warm, freshly baked bread as the kitchen makes its signature brioche hamburger buns. The menu is constantly changing to include seasonal dishes and eye-catching drinks, but some of its favorites, like late-night bowls of ramen, never go out of style. Whatever you order, make sure to leave room for dessert because the Salted Pig's house-made ice cream will knock your socks off. Worthington's Tavern boasts that it has been "supplying the party since 2002!" Anyone looking for a fun night out can go to Mingle Mondays, Tasty Tuesdays, Whiskey Wednesdays, or Gameday Saturdays here. There's always something fun going down at this bar. 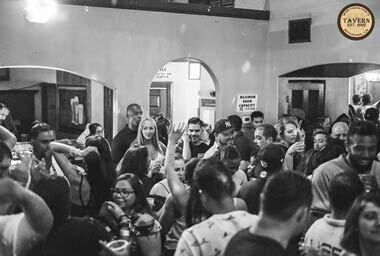 It is standing-room only on the dance floor during the weekends, so be prepared to meet a lot of people if you stop by Worthington's. "I had a good time," wrote Paul D. in a five-star Facebook review. "I danced all night, and I met some girls." Since 1999, Lake Alice Trading Co. has wined, dined, and entertained singles of all backgrounds and orientations. 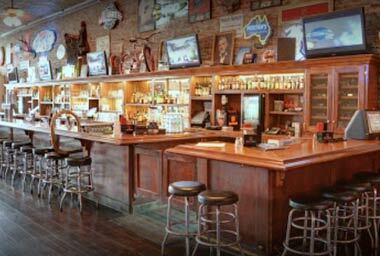 This famed saloon and eatery can get pretty crowded during happy hour, which goes from 3 p.m. until 6 p.m. on weekdays. Happy hour deals include $3 pints and $3 wells, plus great discounts on all appetizers. You can munch on fried pickles or curly fries while watching a sports game and making conversation with the friendly bartenders. Lake Alice Trading Co. stays open until 1:45 p.m. every day of the week, and it serves musically inspired "rocktails" to keep patrons laughing and chatting all night long. Last but not least, you don't want to miss out on the Hideaway Café. This hidden gem is part bar, part nightclub, and part café. The funky underground atmosphere draws people in, and the low prices on the menu keep them coming back for more. Whether you're there for a domestic beer or a soup and sandwich, you'll definitely be satisfied at this hip dive bar. Located in the Mission Inn Historic District, Hideaway Café hosts karaoke on Wednesdays and Sundays, and its beer pong competitions are legendary. It may be hard to find, but Hideaway Café is one of the most popular hangouts in town. One of the biggest complaints adult singles have about dating is that it takes too much time. Whether you’re swiping on an app or chatting at a bar, you have to invest significant amounts of time just to filter out the yeses from the nos. And that’s before you even get to the date itself. Ain’t nobody got time for that. That’s why we love to recommend speed dating events to busy singles. Sure, it’s a bit cheesy, but it definitely saves time. You can go on dozens of mini-dates and assess chemistry in person so you can dismiss the bad dates and focus on the promising ones. Riverside native Etta James sang many bluesy songs that gave voice to the longing and rapture of seeking an endless love. So many singles are looking for that thrill, that dream they can call their own, but they can’t find it by being a wallflower. They’ve got to get the lead out of their feet and put themselves into fun, singles-friendly situations. Singles can find romance at last by attending singles events organized by The Fun Singles. This social group sells tickets to happy-hour mixers, masquerades, yacht parties, and other lively events you won’t want to miss. Singles don’t have to travel 55 miles to downtown Los Angeles to enjoy a jam-packed night at the club. Riverside has a solid downtown scene just off the Santa Ana River. You can find many nightclubs within walking distance of each other between Lime Street and Market Street. A club’s trendy drinks, comfortable lounges, thumping music, and dim lighting can get any night off to the right start. 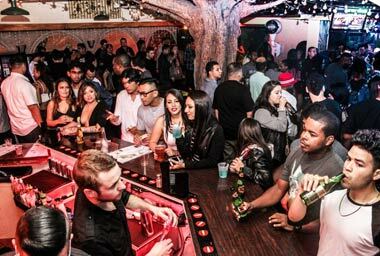 Yelp has ranked the best clubs in Riverside to help you make a fast connection on the dance floor. In the summertime, temperatures can reach up to 118 degrees in Riverside, and most residents seal themselves indoors with the air conditioning blasting cold air. We understand if you don’t want to go outside to pick up a date, so we suggest using chat rooms as a less arduous and sweaty alternative to frequenting the bar scene. A singles chat room offers a flirtatious atmosphere full of chatty men and women looking to make friends and see where things go. You can join the following chat rooms for free and introduce yourself to folks from the comfort of home. Feel like you’ve exhausted your options on dating sites and dating apps? Then you should try online dating personals. It works similarly to online dating, but without any match system or chat restrictions. Your profile shows basic facts about you (name, age, gender, and what you’re looking for), and you don’t have to subscribe to access messages in your inbox. Take a look at the following Riverside personals sites to see if anyone’s ad catches your eye. Singles need to be open to new experiences if they want to meet new people, and a festival can provide the right balance of fun activities and community involvement. You can volunteer to help out at a local fair or attend a public event to create strong ties in Riverside’s social scene. 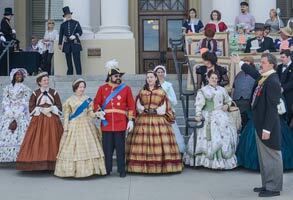 The Riverside Dickens Festival delights guests with Victorian-era entertainment, wares, and foods. The Riverside Dickens Festival is a jolly good place to start. Every February for the last 26 years, this Dickens-themed street bazaar draws thousands of singles, couples, and families. The festival gives people a chance to enjoy classic British pub foods, including beef stew and meat pies, and browse Victorian-era clothing and baubles sold by 30+ cheery vendors. You can don your favorite top hat or bonnet and watch a stage show, a street juggler, or an orchestra performance. Plus street characters from Dickens’ beloved works will wander about and entertain guests with fun, impromptu performances. The Riverside Film Festival in April is another great opportunity for local singles seeking an entryway to new friendships and relationships. This festival combines the best in contemporary independent films, including foreign films, student films, and animation. Since 2002, movie lovers have gone to this event to enjoy and discuss great films. Riverside’s warm climate has supported a thriving orange industry for over a century, but it didn’t spring from nothing. Pioneering individuals in the 1870s had to do the work, plant the seeds, and wait to see if their effort came to fruit. They had no guarantees, but only hope to keep them going. It would’ve been easy for Eliza to give up after one of her beloved Brazilian trees was trampled by a cow, but she didn’t. She focused on caring for the two remaining trees, and today one of them serves as a beautiful reminder of her perseverance. Singles, too, must carry on through adversity and not give up after a bad date or a failed relationship. You may not get the results you hoped for overnight, but, if you keep going, you never know what could come of it. We hope this list of online resources and date venues will be fertile planting ground for your next dating adventure. Good luck!